The NHL Network has hired women's hockey star Kendall Coyne Schofield as a studio analyst. Coyne Schofield will make her debut March 4. The network announced the hire Friday. ​The NHL Network has hired women's hockey star Kendall Coyne Schofield as a studio analyst. Coyne Schofield will make her debut March 4. The network announced the hire Friday. A 2018 Olympic gold-medalist and five-time world champion representing the United States in international play, Coyne Schofield has been back in the spotlight since NHL all-star Weekend in late January. She participated and impressed in the fastest skater competition, providing the event's biggest highlight. 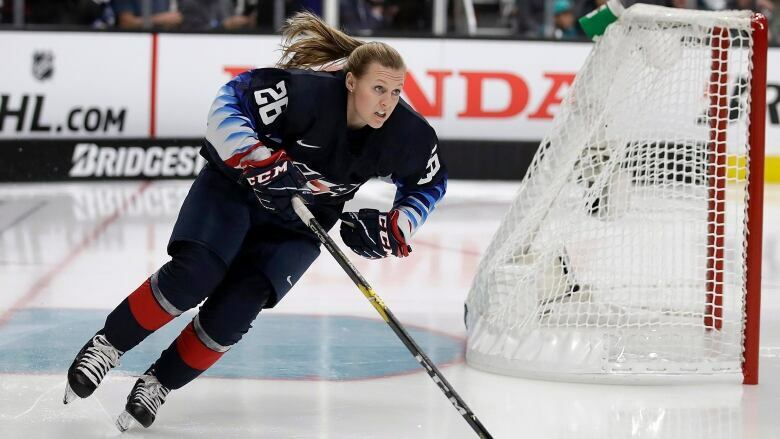 She made her in-arena television analyst debut the following week on NBC Sports Network and recently served as U.S. captain for its rivalry series against Canada. Coyne Schofield says she's excited or the opportunity to join a team of expert analysis and share her passion for hockey.